M.Com. in Banking and Finance is a 2 year post graduate banking course. 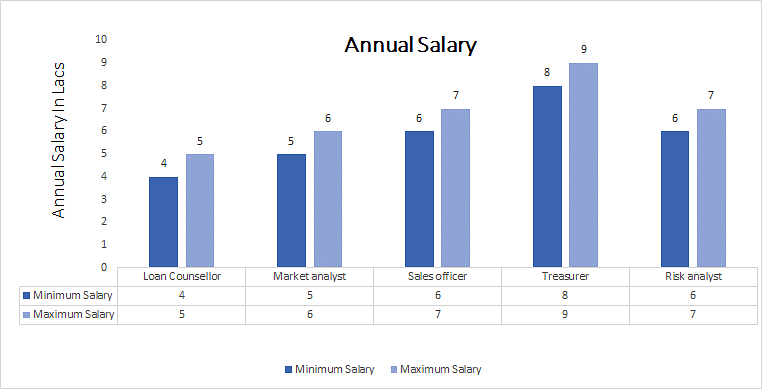 The candidates who like to take up this course must possess basic eligibility with graduation degree in commerce stream with minimum demanded scores between 45% to 50%. Admission process of this course is carried out based on the candidate’s performance in their bachelor’s degree in same stream. Some institutes may include their entrance exam score. Those entrance tests may include various quantitative tests. The average course fee charged for this course is between INR 90 k to 6lac for the span of 2 years. M.Com. in Banking and Finance is a banking course that is the study of concepts of banking, banking law, finance and financial management. The students have strong in communication skills and completion abilities are suitable to take up this course. This course also requires strong mathematical ability skills that are necessary for investment banking and also need some teamwork skills that are necessary for banking and finance lines. Also the candidates are also capable of taking their job in the employment areas like banks, credit companies, business schools, Indian economic services, consultancies etc. Top Recruiting Companies banks, credit companies, business schools, Indian economic services, consultancies etc. Job Positions AO, Business Analyst, Customer service, Marketing executive, credit and risk manager, etc. M.Com. in Banking and Finance: What is it about? M.Com in Banking and Financeis the course that is apart from general commerce study, it primarily focuses on the systematic study of the concepts of special subjects and topics related to banking and financial circles. The students after completion are capable of working in banking and financial firms. These candidates can also apply for the UGC-NET or JRF exams. This course prepares the students for professional qualification in banking and finance and provides a solid base in the fields of banking and insurance thus making it easier to acquire a leadership/managerial role in both the banking and finance sectors. The candidates who have completed their B.Com. or grad (Hons) in Economics or management as their major discipline with at last minimum aggregate marks obtained in their exams are eligible for this course. Some institutions consider the score in the entrance tests based on the subjects covered. Admission process is carried over by considering the merit score of the student in their exams and some institutes conduct entrance exams and there would be personal interview carried by the institute that various or depends up on the institutes. On Successful completion of this course the candidates are capable of working in the employment areas like banks, credit companies, business schools, Indian economic services, consultancies etc. There are also wide range of job positions available for the candidates like AO, Business Analyst, Customer service, Marketing executive, credit and risk manager, Stock analyst, Asset manager, Investment banker, security analyst, Loss control specialist, AAO etc.